Ellie has finally admitted that “real spring” is here. 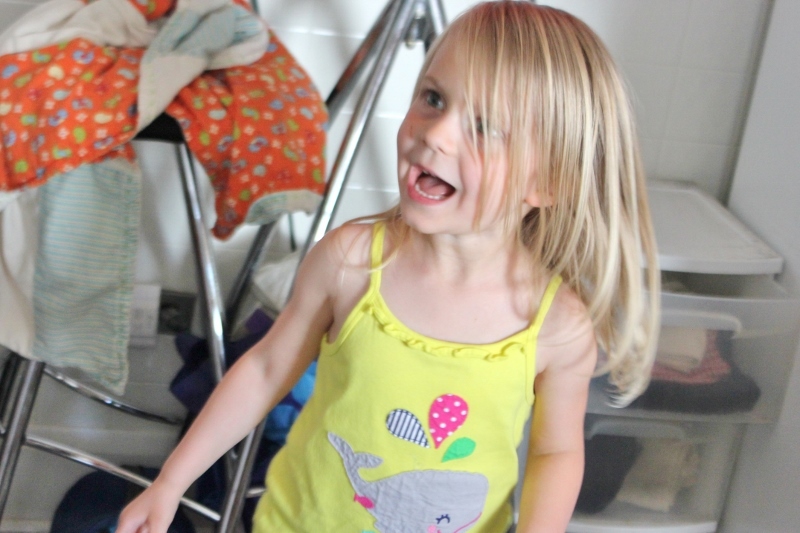 To her, spring means that she gets to wear tank tops and shorts because it’s really warm. Spring does not mean “Yay, things are starting to grow!” So, despite my best efforts to point out gorgeous blooming trees, the lack of snow, and the non-existent need for coats, it took this past week of fabulous weather to convince her. 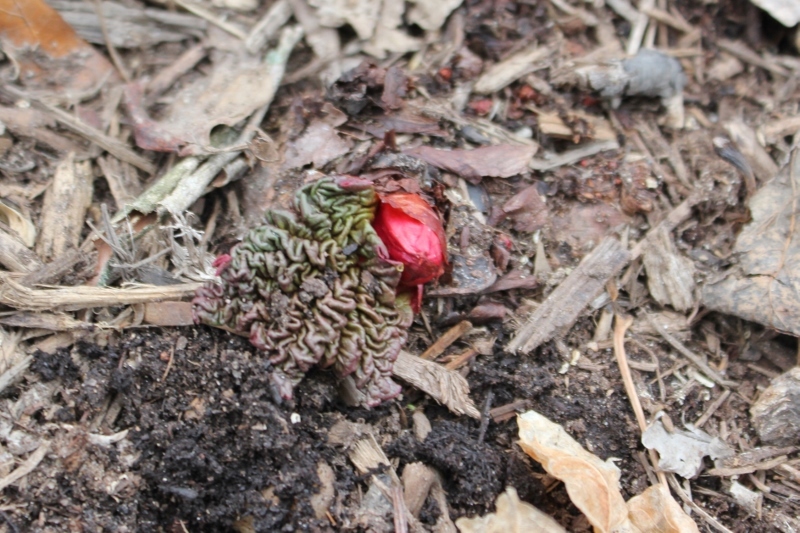 In case you need convincing, here are some more signs of spring! First, take a look at the creepy (but awesome). 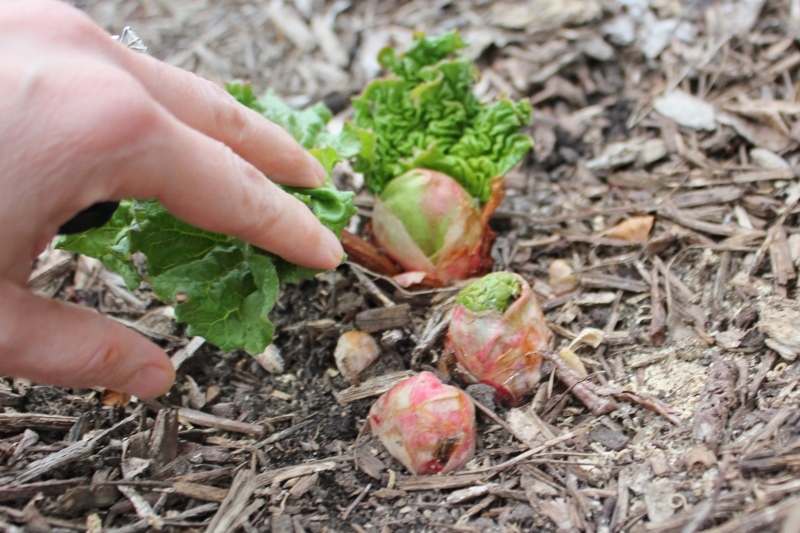 Last fall, a very generous gardener neighbor gave me three pots of rhubarb crowns. 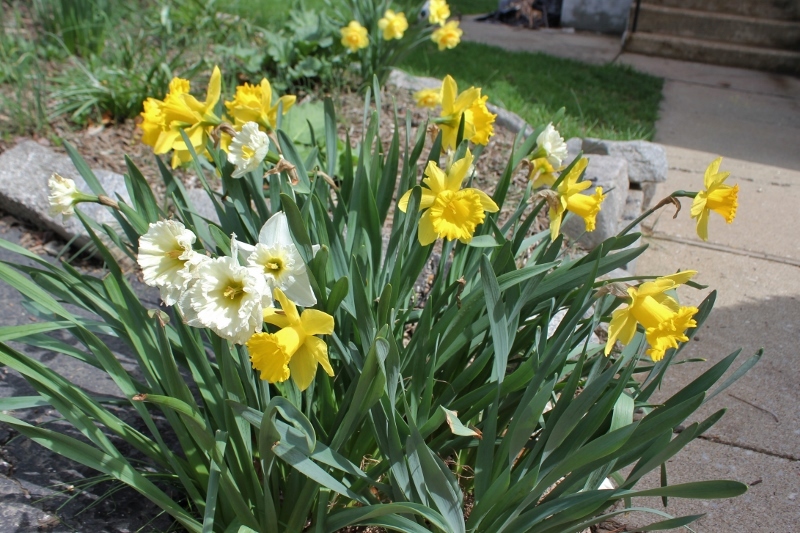 I split them into six sections, planted them, and hoped for the best. 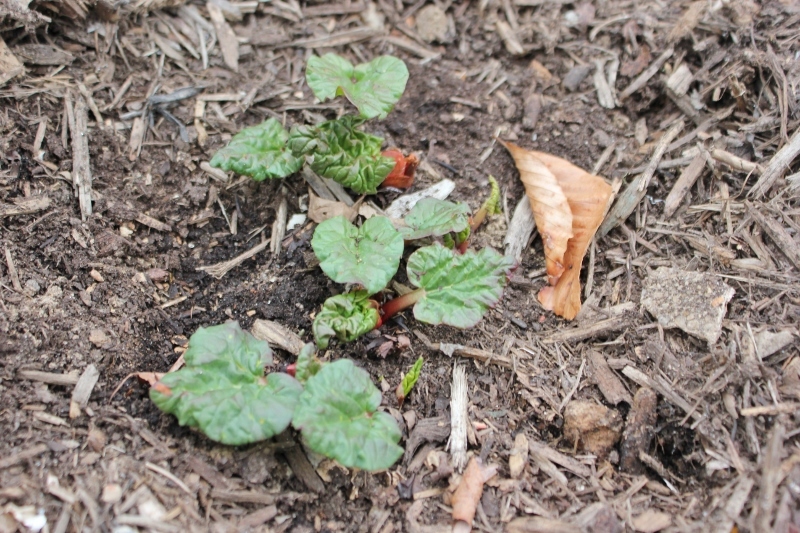 (It took me several weeks to plant them after she gave them to me so I wasn’t sure if they would survive or not.) 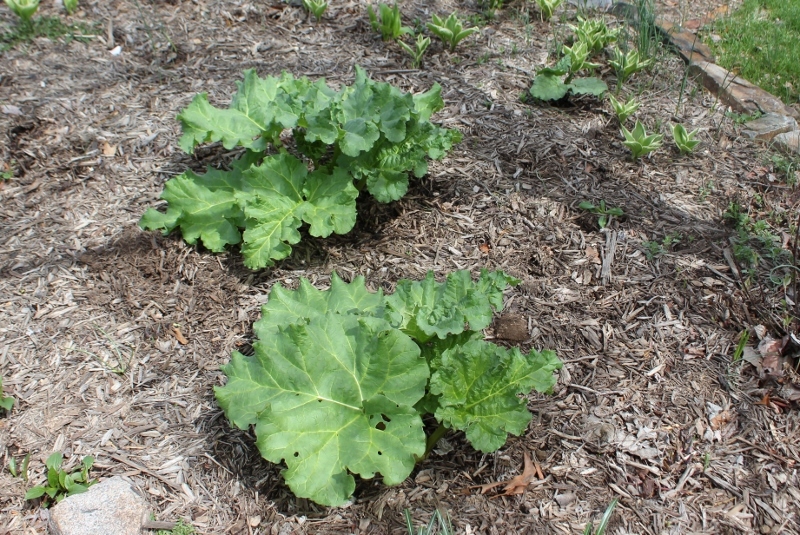 I’m SO happy to say that instead of last year’s two rhubarb plants in the garden, we’re now the proud owners of 8 rhubarb plants! 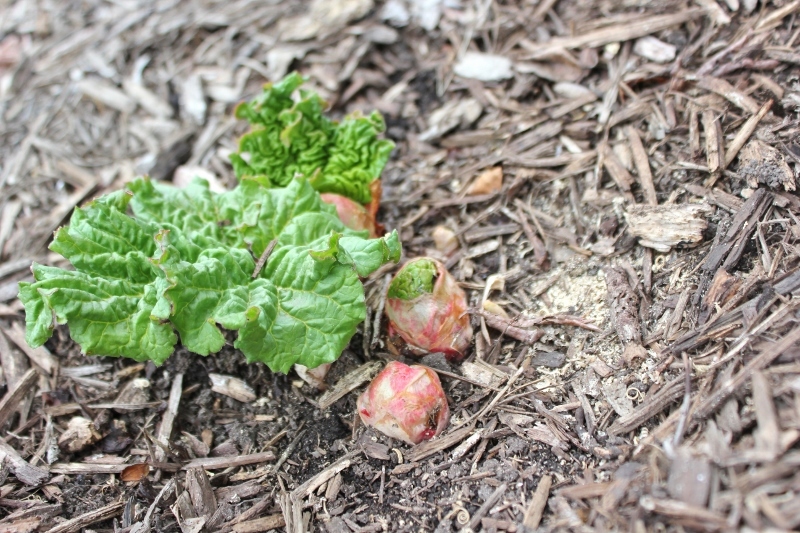 Rhubarb crisp and rhubarb crisp bars, here we come! It’s going to be hard to wait a year or two until we can really harvest them fully. Why is all of this creepy? 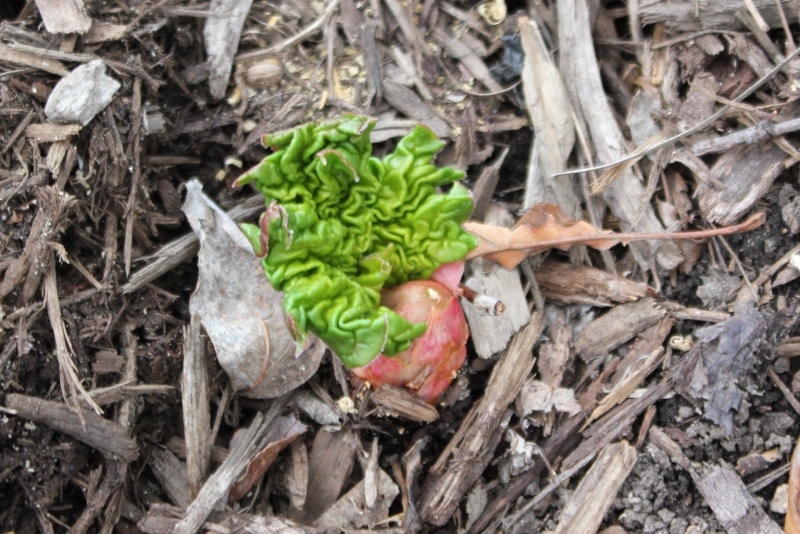 I find the newly sprouted rhubarb to be really creepy as it comes out of the ground. What do you think? kind of looks like bloody skin, right? 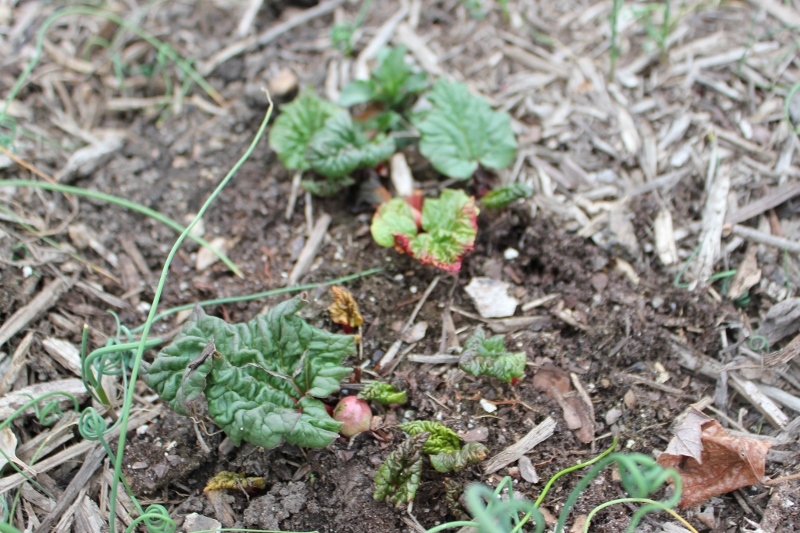 I took the creepy pictures two weeks ago and look how much they’ve grown since then! not creepy anymore – just delicious! Now that I’ve forced you to suffer through the creepy, here’s the cute! 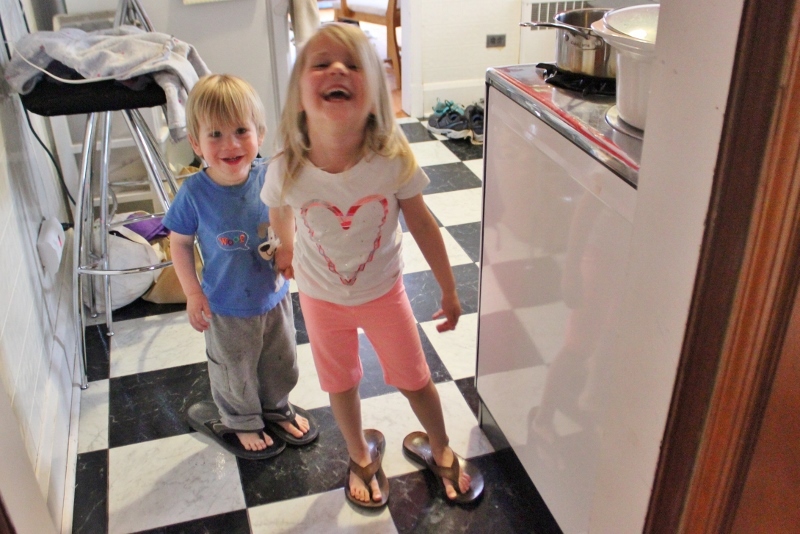 Mama and Baba’s flip flops are out and ready for wearing! 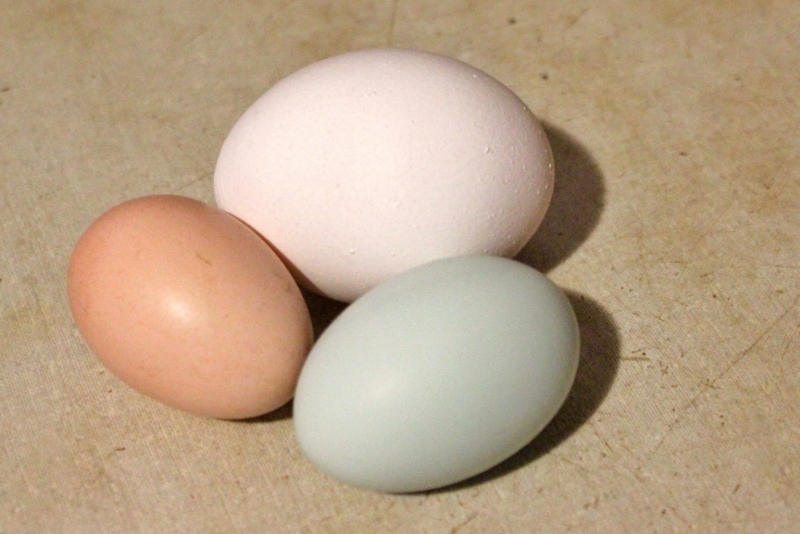 Our favorite farmer’s chickens are back in action and making all kinds of sizes, shapes, and colors of eggs! She wouldn’t hold still for a picture but here’s proof that she’s wearing tank tops now! 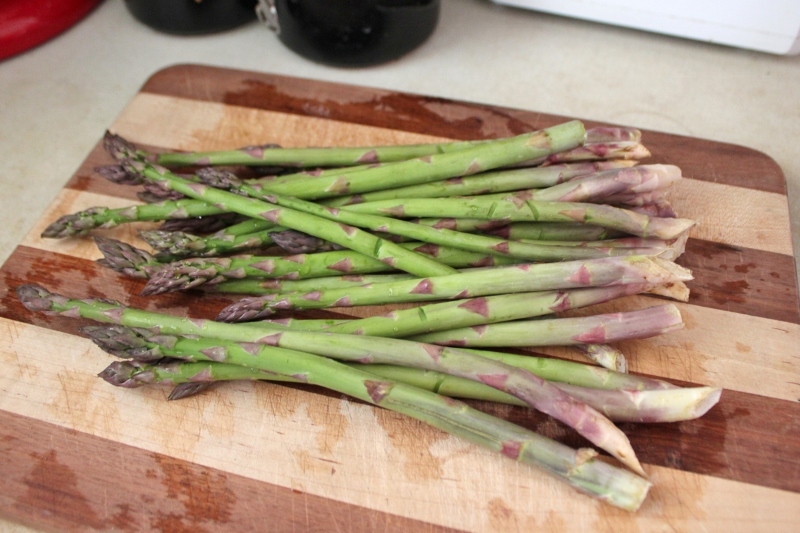 First asparagus showed up at the Waverly Farmers’ Market this Saturday! Toasted Almond, Browned Butter, and Asparagus Pasta immediately became our Saturday night dinner plans. We also are planning on asparagus pizza very soon. YUM! 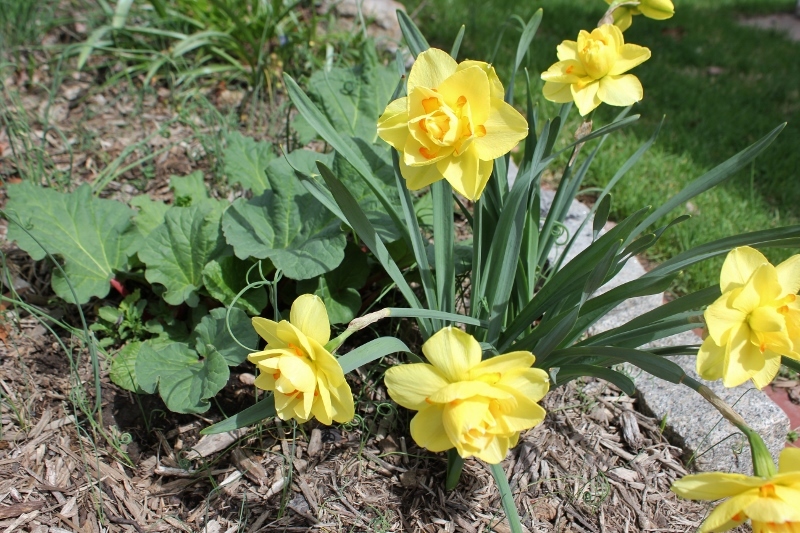 And finally, I went outside with the kids just now to take these pictures ofthe quintessential sign of spring. I thought my spring-starved family up north (who are currently suffering through a snow storm) might need some hope of spring! I love these tiny ones the best. I forgot we had them in our garden until today! 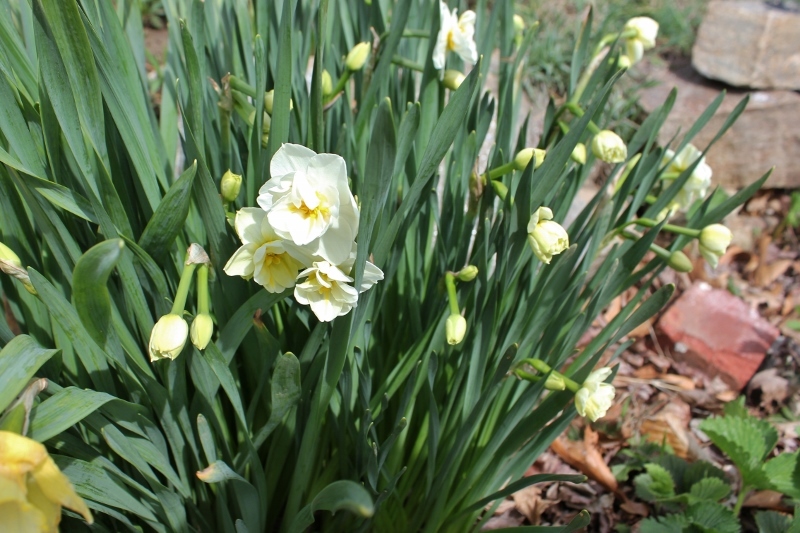 This entry was posted in Ellie, gardening, Mark, weather and tagged daffodils, rhubarb, signs of spring. Bookmark the permalink.